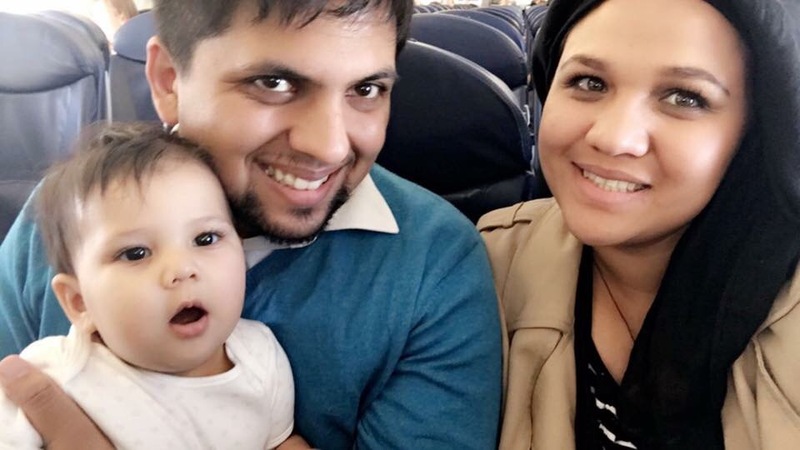 Travelling can be scary especially with a baby but I guess I’ve worked up enough air miles to encourage more parents to go out on those adventures and stop fearing travelling with a baby. 1. Just do it. Even though travelling with a baby can be stressful and people will have their opinion about travelling with young babies, just do it. It’s amazing to watch them explore this new experience from above. 2. Go with the flow. Do not overwhelm yourself with sticking to a strict routine too much. I just allow our baby to lead the way by watching her cues. 3. Don’t over load yourself. Only pack what you need to get yourself and baby through the next few hours of travelling. The last thing you want it too much baggage while navigating your way through tiny cabin passages. I like to pack toiletries and this include meds, toys and a change of clothes for both of us. Remember all liquids need to be 100ml or less. 4. Stay cool, calm and collected. Melt downs are inevitable so have a game plan ready for take off, landing and cruise – basically the whole flight! I usually nurse our daughter during take off and landing to help minimise blocked ears. She usually falls straight to sleep for a little while. When we’re in cruise and she’s awake, we watch cartoons, play with toys, cuddle and most importantly go for walks in the cabin. 5. Pack snacks. Not only for baby but for yourself too. 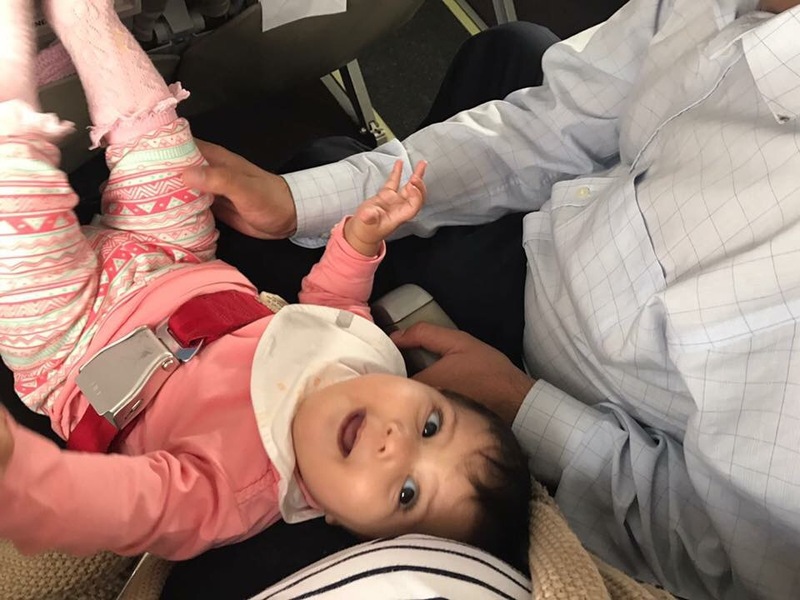 On most long haul flights your meals will be included but sometimes your baby won’t be asleep and this will make it very hard to eat. Having a little snack and a water bottle in reach can be handy. Just enough to tide you down until baby falls asleep again so you can enjoy your in flight meal. 6. Prepare for landing. About an hour before landing I usually head to the toilet to change her nappy, clothes if needed and refresh myself too. This will make all the difference to help minimise tantrums on decent and while you wait to exit the aircraft. 7. Enjoy it. Like everything else in parenthood, just have fun. They won’t stay little for too long. It does get easier the more you travel simply because you work out better ways to deal with tantrums and mishaps the more you venture. Did this post resonate with you? Please give it a share on your socials.